Golf Digest's editorial team scoured the 2017 PGA Merchandise Show for the latest "Cool Stuff" that could have an impact golf. We're honored they were impressed with the promise of the Longleaf Tee System. Can the Longleaf Tee System really make a difference for the game - and specifically, any particular facility? Absolutely. Club & Resort Business explain how. Shortening the course for all players...a concept that's so simple, it has been overlooked for years. Golf Canada looks at the Longleaf Tee System in depth. The American Society of Golf Course Architects has teamed up with U.S. Kids Golf Foundation with a vision of making the game more fun and enjoyable for all players. 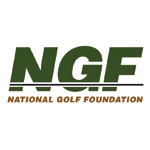 The National Golf Foundation took a closer look at the vision of Longleaf Golf & Family Club and how the implementation of its innovative Tee System could reshape the golf landscape. Rees Jones is taking great care in preserving the original design of Medinah's No. 2 course during its renovation. But he is making one important addition - the Longleaf Tee System. The Open Doctor, Rees Jones, and U.S. Kids Golf Foundation President Dan Van Horn discuss the benefits and impact of the Longleaf Tee System with Gary Williams on Morning Drive. The Morning Read examines whether golf can grow - by shrinking the course. A good recap of how the Longleaf Tee System came to be and who it benefits the most.